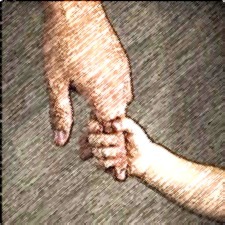 When a child is born we look after it and tend to it. As the baby grows we help it in learning new skills and acquiring knowledge in the hope that these skills would help the child in preparation to face the world. However in this process of growing up both for the child and us as an adult there are many occasions when the roles get reversed. These role reversals not only help us learn some valuable skills from our young ones but also help us bond with our young ones these become very cherished moments. These are the moments when the child and you are like buddies and stand for each other, sharing knowledge and experience and helping each other grow better. As a busy working professional I try to use technology to help me keep pace with the changing times it helps me keep a balance between the breakneck speed of work and personal life. 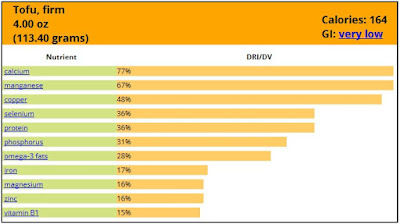 I feel the need to keep updating my self with the latest information technology products be it laptops or mobile devices like smart phones and tablets.The realty of changing technology is that it changes at such a fast pace that keeping track of it ,adapting to it and learning it becomes a challenge if you are not very technologically inclined. I discovered this when I upgraded my smart phone to a new one with loads of new apps that were all new to me. I was able to make do with the basic ones and was limited to use the device more for calling and receiving calls .There was little time or energy left in me as most of my work time was being used up in coordinating with the sales team that was scattered all over the country. On one typical weekend when I was supposed to be with my family ,my work pressures forced me to use up my family time to juggle my job of sales team coordination. No one likes to keep working on a weekend as it is supposed to be the time of the week when one spends quality time with family and kids and I was no exception. As I was juggling between multiple calls trying to communicate between the various team members I sensed someone standing behind me upon turning around I felt my ten year old son standing there. I thought he had come to remind me about the outing that we had planned for the weekend . I did not have the heart to tell him that I was finding it hard to take them this time too because of the fact that I was trying to full fill this promise of mine for several weeks not but with little success. It came to me as a great surprise that instead of reminding me about our excursion he offered to help me in my office work. I was both surprised and amused that how would a ten year old help me in my office work. Yet he had a very effective solution that I was to discover in a few minutes time. We took my smartphone and opened messenger app on my mobile device and he accessed my address book and showed me how to create a group so that I could add all the members of my team in one group and send a single message to each one of them in one go. This helped me in co-ordinating how I communicate with my team. Group messaging is a very useful utility that is available these days. It helped me save many hours of my time. I utilized the time to take my family for a picnic. There I taught my son how to fly a kite and in a few hours he was flying the kite much better that I could. We sat by the hill watching the Sun go down and in the evening my Son taught me how to use many more apps. It was a day well spent in which I had discovered a new side of my children and Yes I had also discovered the new tech guru of my household in the form of my Son. I love to dance and I am always on the lookout for some cool dance move that I can try out and if possible flaunt at the next possible opportunity. Looking at the Taazgi Ka Dhamaka video I find it to be a very peppy song and when it comes to the dance moves it is packed with some very innovative and interesting dance moves. Let me try to use my investigative skills and try to uncover and discover my share of MaxfreshMoves that I experience in the video. First looking at the images from this video. and the second image from the sequence of images that create this move. He is trying to dance holding his collar up . You may ask what so special about it? 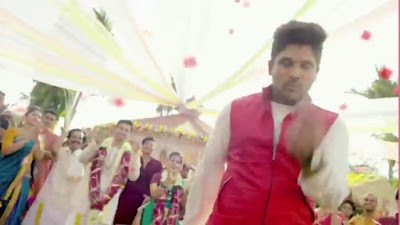 That is exactly my point Allu Arjun has created and performed a very simple to follow but a high energy step that is going to go viral and become a rage among st the masses just like salman khans collar move became very famous.I feel where ever one uses this step be it our dance floor,birthday party or our college festival. 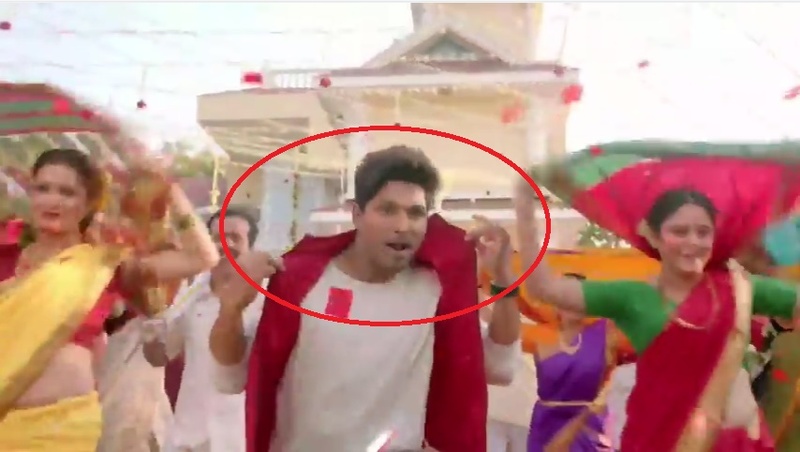 It is surely going to make us popular like Allu Arjun.So before it gets seen by everyone let me try and replicate it to get some brownie points at the college fest. I find it to be easy to perform and yet has a mass appeal like the following Salman Khan pocket dance became very famous. Just as the Salman Khan's dance moves became very popular among st the youth similarly the Allu Arjun moves would also become very popular. Since everyone carries a handkerchief .Using a handkerchief as a prop is going to be the next big dance move just like the Amir Khan's dance move in the song Aati Kya Khandala from the movie Ghulam. 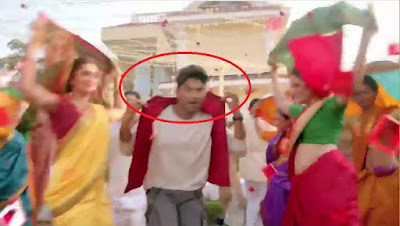 Amir Khans handkerchief dance move in the song Aati kya Khandala from the movie Ghulam took the nation by storm and everyone tried to replicate this dance step. I am sure that Allu Arjun's handkerchief dance move is also going to catch on as a trend among the youth of the nation. 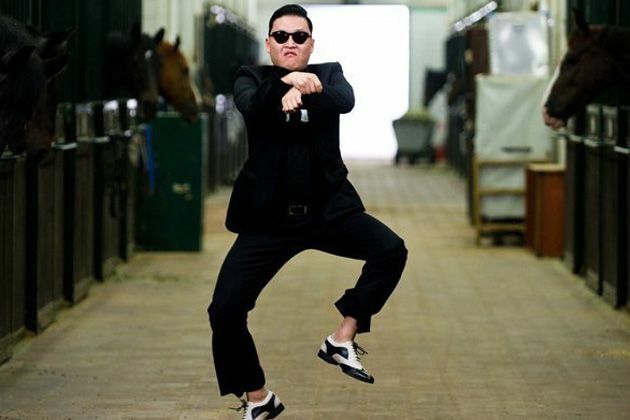 So whenever we want to dance and show how cool we are then this step is going to come in very handy. This step is very helpful for me as even a non dancer like me would be able to do a dance step thanks to this move. 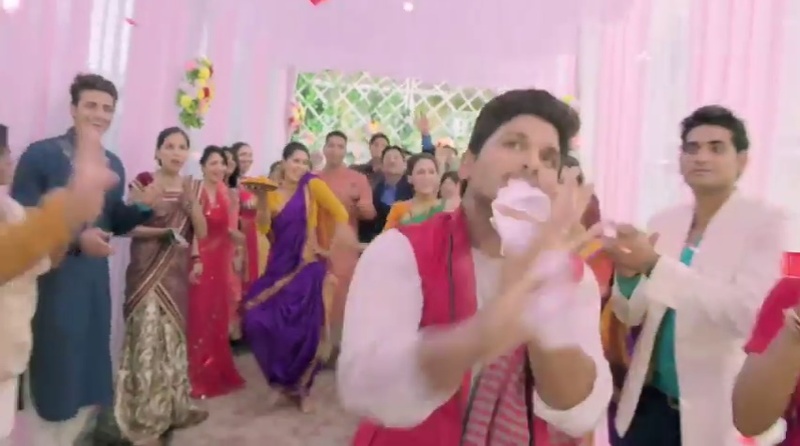 I can't wait for the next party to happen in college so that I can dance my heart out performing the Allu Arjun handkerchief dance move. and another one that follows and enables Allu Arjun display his agility and ability to mesmerize his audiences. 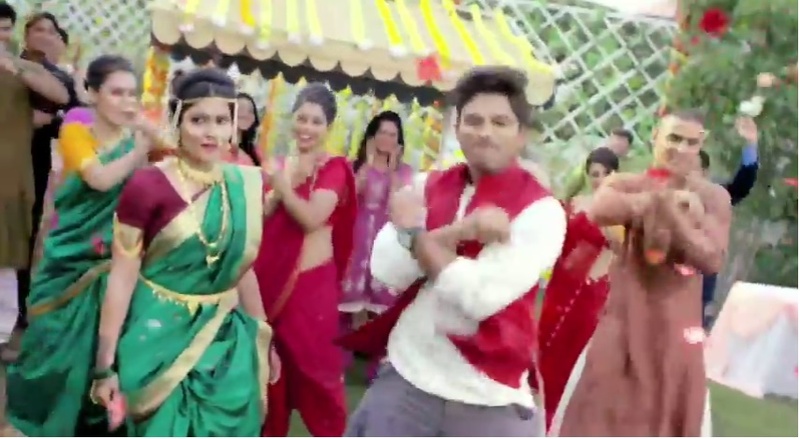 I am sure that this Taazgi Ka Dhamaka video with its cool dance and song routine is bound to be a very popular routine. I am sure the tempo of the song and the video Taazgi Ka Dhamaka is going to be the maxfresh video of the year packed with #MaxFreshMove(s) and is going to be very popular among the youth of the country. Is there anyone in this world who does not believe in love at first sight? I say it exists. The moment you see your baby for the first time, the emotion it generates is Love at first sight and it is an emotion so pure that it transforms your life for good . From the moment our baby comes into this world the life of any caring parent begins to revolve around the wellbeing of the little one. It is so amazing how a little baby kindles a range of emotions in us. A sea of emotions sweep us that stimulate and motivate us to act and work with the aim of making our little one more healthy and help him or her grow stronger. Each day the growing up little one shows a new move a , that shake of the head ,that glint in the eye and the mesmerizing smile while growing up a little bit more every day. When we cuddle the little baby he or she snuggles closer and the touch of the baby's gentle skin is so divine and pure. However the environment around us is harsh and acts adversely on our baby’s skin. We want to ensure that the gentle, supple skin of the baby is always protected and remains like this only and so begins our search for a moisturizer for our little bundle of joy. A pearl of wisdom passed on from the grandmothers and mothers to us is the emphasis of an oil massage for the healthy growth of the baby. In earlier times all these massage oils and moisturizers for the baby were made at home by the mothers and grandmothers. Perhaps this knowledge has been tapped by Dabur into creating a Baby care product "Dabur Baby Massage Oil" that is used for massaging the baby. It plays a dual as it not only moisturizes the skin if the baby making it soft and supple but it also provides nourishment and strength to the bones and muscles. As our grandmothers were aware of the importance and usefulness of almond oil for nourishing the skin and keeping it moisturized and they also recommended the use of olive oil to be used for massaging the baby ad helping the baby grow faster and stronger. This wisdom was passed on from generation to generation. 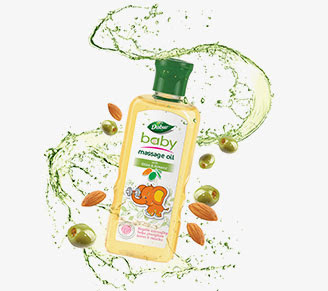 Dabur has brought these two oils together to form Dabur Baby Massage Oil ,a product that plays the dual role of moisturizing as well as acting as the massage oil of choice for the baby that strengthens the muscles and the bones. The biggest advantage of this oil is that it has been tested by dermatologists and does not contain any artificial colors, paraffin’s and parabens. It is a baby product and so its packaging is shaped and designed to keep your little one engrossed while you give your child the much needed massage. With the knowledge and experience that Dabur Baby Massage Oil is the best product to massage the little baby and watching it grow is sheer delight. 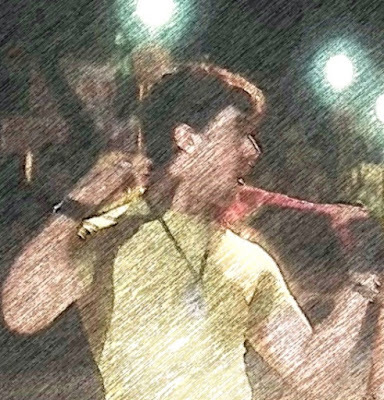 “I am participating in the #FirstLove activity at BlogAdda in association withDabur“. I am a proud parent of a little baby. I take utmost care in looking after my little one. It is a sight to behold when my little baby kicks around lying in the cradle. Since I as a parent, want to ensure that I do everything possible in my capacity as a parent to do whatever is best for the baby's growth ,well being and health. I have been providing my baby with the best possible nutrition. However over time I have noticed that my baby’s skin is not as gentle ,shiny and glowing any more .This had made me very worried. Then my mother's wisdom came in handy who suggested that I should use Dabur Baby Massage Oil for my little one for bringing back that soft supple skin once more. Initially I was apprehensive about using any product on my baby’s skin which was not home made as I feared the it may not harm the baby. However when I came to know that your Product Dabur Baby Massage Oil is free from any harmful ingredients that may harm the skin or health of my little one, I was greatly relied. I thank you for making a baby’s product that is free from artificial colors , paraffins and parabens . I find it to be a very useful product that I use for the head to toe massage of the baby. My baby also seems to enjoy the massage with the Dabur Baby Massage oil as it playfully pulls at the pack of the Dabur Baby Massage Oil and uses it as a favourite playmate it is a sight to gladden my heart. 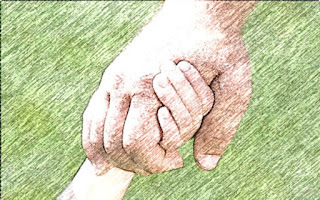 The responsibilities of a parent towards the welfare of the baby is a 24 X 7 job. The fact that Dabur baby Massage Oil performs the dual role of a moisturizer and a massage oil gives me great satisfaction. I thank you for incorporating premium oils like Almond oil that is gentle on the baby skin and it moisturizes the skin of the little one and makes it soft and supple.On the other part the premium Olive oil used in Dabur Baby Massage oil provides nourishment. With the assurance of Dabur quality I can rest assured that the product is suitable for the child’s skin and would help him grow faster, stronger and healthier.Knowing the fact that the product has been dermatologically tested comes as a double assurance to me that it would not harm the baby’s skin in any way. So every time I massage the baby with the Dabur Baby Massage Oil, The baby plays along with the pack and enjoys the soothing massage.I behold the sight of my baby being pampered in its own personal spa and then dozing off to sleep after a relaxing head to toe massage. All my worries have been taken care off by knowing the fact that it is getting stronger , healthier and growing up fast to face the world. 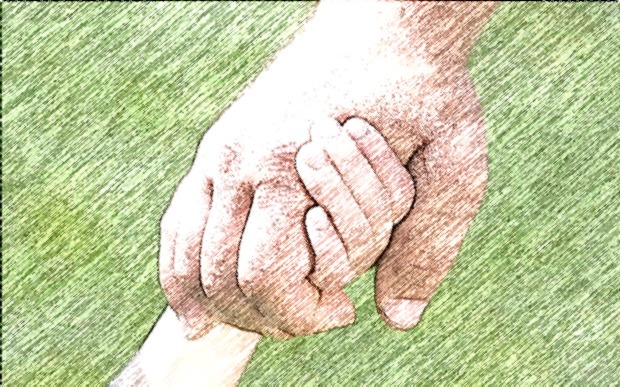 It comes to me as a great assurance that I am providing for my little one the best possible massage therapy. The word Crash Diet itself consists of the word Crash that causes a damage or an accident. This is exactly what my opinion of crash diet is that it does more damage than good. First we damage our body by eating a wrong kind of diet or over eating and then torture our bodies again by subjecting our body to the torture of a crash diet. Usually crash diets subject our bodies into consuming specific food that starves us into getting back into shape. 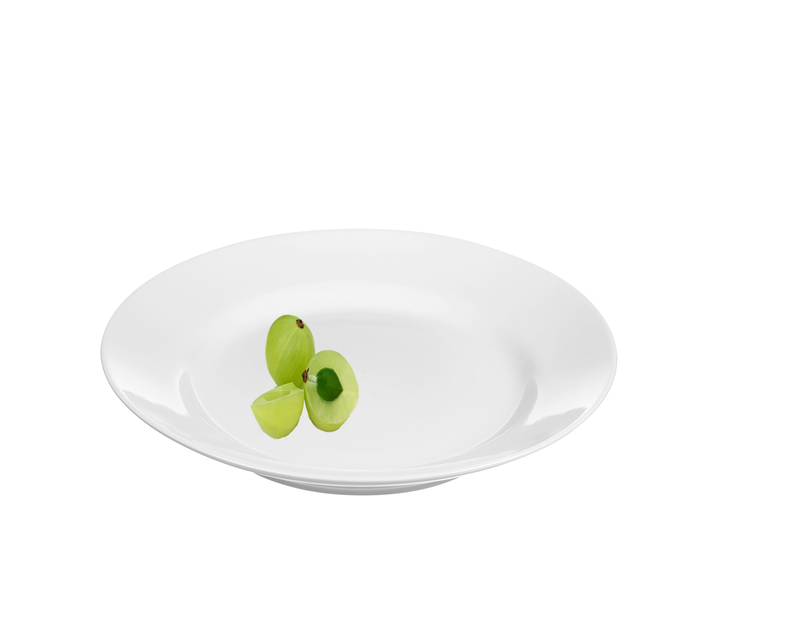 Sometimes the diet suggests that we eat less and at times asks us to eat things that we completely dislike. In the long run crash diets do more harm than good. Once we complete our crash diets we revert back to our regular diet and again get out of shape . Then we again subject our body to the crash diet. This is a vicious circle that never gets over. This vicious cycle is very harmful for the body. I feel much better results can be achieved if we incorporate healthy ingredients like Honey in our daily routine .Whenever I buy honey I am always concerned about the quality so I stick to Dabur Honey as over the years I have found it to be of good quality. I am a firm believer in the saying “Eat healthy to Stay Healthy” Take for example the tips given on the site Honey Diet. (http://www.daburhoney.com/benefits-of-honey.aspx) It does not ask you to starve your self or eat things that you dislike instead it gives a useful tip of consuming a spoon of honey with warm water this helps in weight management. Another very useful tip is to substitute sugar with honey. As Honey has lesser calories compared to sugar it is a healthier option. An additional benefit of consuming honey is that it has vitamins, minerals and antioxidants making it a must have ingredient in our diets. Honey being a naturally occurring product is a good source of natural sugar and carbohydrates that are easily absorbed in our diet. The addition of honey in our diet is known to aid digestion. Honey also has a therapeutic property that helps in cough, cold and sour throat. Honey finds a prominent place in almost every home beauty regime as due to its moisturizing and nourishing properties. With so many benefits of honey it is just a matter of how to incorporate honey and other naturally occurring beneficial ingredients in our daily diet so that one remains healthy on a day to day basis and has more energy and vitality. This way we would not have to diet at all. There are so many interesting recipes that can be created using honey from shakes to snacks and sweets. A simple tip is to substitute sugar with honey in our morning cup of tea. More healthy recipes involving honey and diet tips can be found here Honey Diet. As a fan of the game of cricket I breathe, eat and drink cricket it is the focal point of my life and thus I make it a point to be in the know of things. With so many matches and tournaments happening throughout the calendar year it is a matter of sheer delight. As so much of cricket is around us and with so much of good opportunity to follow and enjoy the game so is the challenge to get time out to follow these games. When I started getting cricket updates on the mobile I felt that it was a great way to remain connected. But soon I realized that surfing for information or getting cricket updates on the mobile is no mean task. One of the reasons is that mobile browsers are slow and take a lot of buffering time. Even there is a lag time for the information to appear on the mobile screen in the browser . This is very frustrating for any cricket lover. I even switched my browsing package from 2G to 3G yet the browser performance was not up to the mark. Luckily for me I came across the UC Browser for the phone. It is a god sent opportunity for cricket fans like me. As they help me search and surf all the cricket information very fast. The never ending buffering of information has become a thing of the past with the new UC web browser. The best part is that it has a UC Cricket feature which helps me get all the cricket related information and the match details very fast. The beauty is that I get ti enjoy the ball by ball detail almost instantly without any delay and this makes the UC Web browser such a cool and important part of any cricketers life. The UC Browser for the internet browsing is designed for the cricket loving youth of the country so the interface is sleek,loads fast and easy to use.Even when you are constantly on the go and balancing a fast paced life. So be it the office or home,classroom or boardroom wherever you seek cricket related information about any match the UC Browser displays it to you in a jiffy. Having personally used it I find that it loads even the images and videos very fast.The never ending buffering of the media has become a thing of the past. So be it cricket or Bollywood or any other information using the UC Browser I pull it up that much faster. The best part is that while I am doing this surfing information seeking at a much faster rate my internet bills are much lesser as the UC Browser is designed to optimize the web surfing experience. I love Songs that are high energy and give an opportunity to shake a leg.Here is a list of ten songs in my playlist that give you a compelling reason to sing and dance along and live a maxfresh moment. 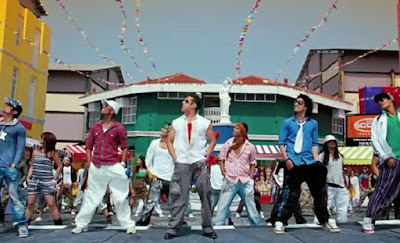 #7 The song Second Hand Jawani from the movie Cockail is a all time favorite of mine . 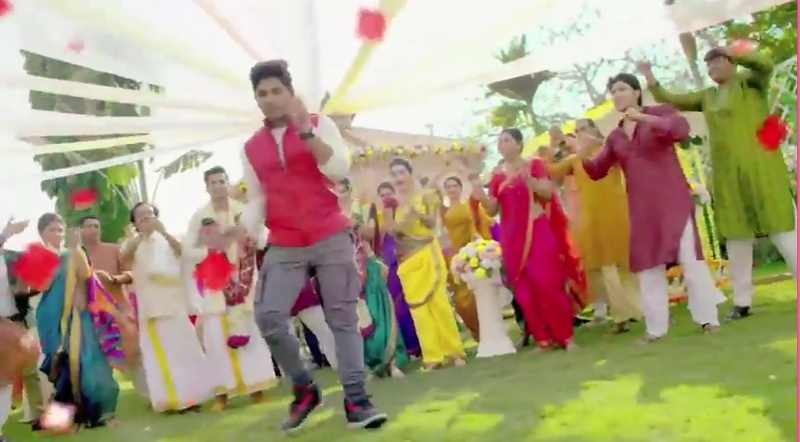 I find the music so addictive and compelling to like even though it is a song that talks about second hand Jaawani. Please don't ask who's second hand jawani is being referred to I just know that I love the song. The song become even more interesting when it plays in the closing titles with the dialogs being played along with the song .It becomes even more hilarious ,funny and enjoyable. #4 The Chittiyaan Kalaiyaan song from the movie Roy never fails to amaze me I don't know if its due to the never seen before avatar of Jacqueline Fernandez lip syncing so beautifully to the Punjabi song that it is almost difficult to relate to the fact that she is a Sri Lankan actress who speaks hindi with an accent or The soulful singing of Kanika Kapoor that the song keeps repeating itself in the mind and the imagery does not fade . every birthday party playlist and so children as young as 2,3 and 4 dancing to the tune of the song and trying to sing along with the song. Amla or Indian gooseberry is known by various names in various parts of the world and our country . It is not just a wonder fruit that is one of the richest sources of vitamin C , 445 mg/100g but also packed with nutrients and antioxidants. 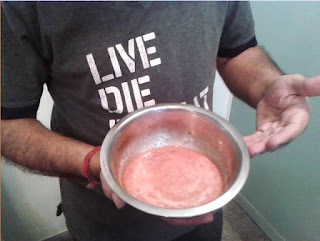 Since it is a fruit packed with a richness of nature and finds its place in every chavanprash and a number of Ayurvedic preparations I embarked upon the journey to incorporate in my daily live and more importantly into the lives of my family members. I tried eating it raw but if you are not used to the taste then you might experience it to be very sour with a certain tartness in taste. Drinking water over it gives you a certain sweetness in the mouth. I was ok eating it but I must confess that eating it as a chawanprash, a murabba or a chutney is much easier on the palate. Determined that I would incorporate it my households daily life I began to explore ways of incorporating in my family’s daily diet. I started with cutting the amla fruit and scooping out the hard pit with a knife. Alternatively one can chop it with a vegetable chopper to get rid of the hard greenish core. 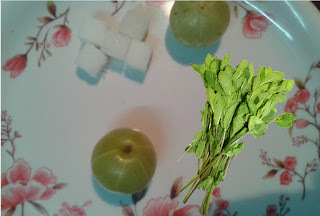 1 1) I cut the Amla fruit in to two halves with a chopper or a sharp knife and put these halves into the juicer and extracted the juice. A point to be noted is that not just the juice but the left over fibrous remains are also very useful. 2 ) Another way is to grate the Amla fruit using a grater and then blend the grated Amla shreds into a blender with water. Then straining the blended mixture in a sieve separates the juice from the fibrous remains. Once I had this juice with me I tried incorporating it in my daily diet and this was relatively easy. 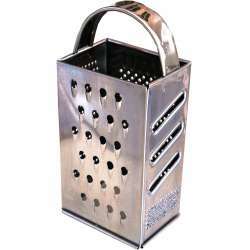 Since it is difficult to take out the juice of a single amla in a juicer so I grated the entire amla without deseeding it in a metal grater as the amla fruit is a hard fruit and a plastic grater may break. 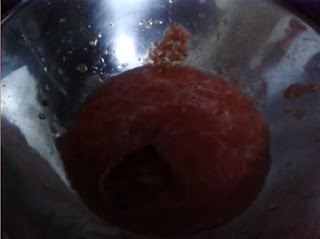 Add half a glass of water to the grated amla and blend it in the blender. The process of blending extracts the juice from the Amla fibres. The blending should be continued till the individual strands cannot be seen and the mix becomes homogeneous. Use a fine strainer to separate the juice from the fibrous part. 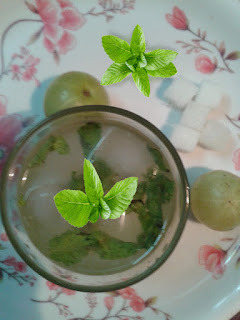 I added a few strands of mint leaves into the filtered Amla liquor and using a muddle crushed them to gets their flavors out into the liquid. To sweeten this mix one can add sugar or honey . Mix all the contents in a jar with a muddle add ice cubes and serve chilled. 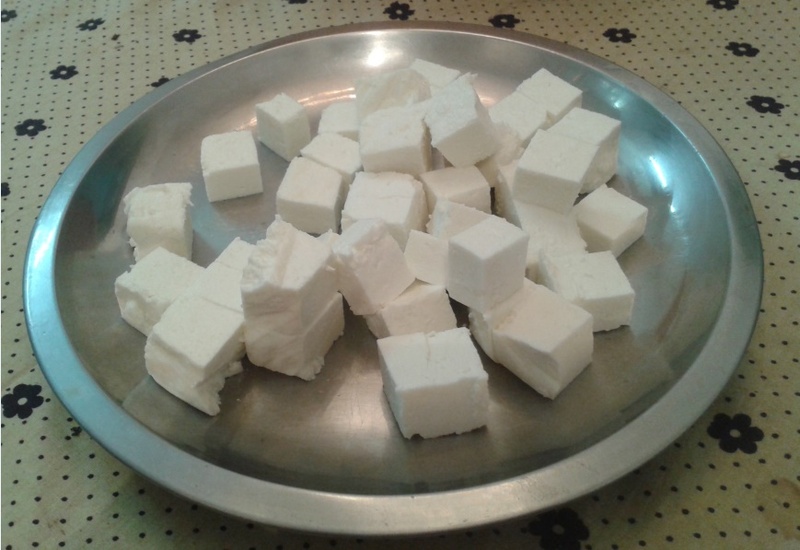 Tofu is also known as bean curd and made by coagulating soya milk .This curd is then pressed into soft white blocks to form what we know as tofu.Tofu can be made to be soft, firm and extra firm. It has a subtle flavor and can be used to prepare both sweet and savory dishes. Tofu is a rich source of amino acids ,iron and calcium. Incorporating tofu in our daily lives ensures a diet rich in nutrients. Tofu being a rich source of proteins has found its place in the Buddhist form of diets. Over the years a number of researchers have been working on the effects of tofu on our bodies. Here are some of the finds. -Tofu is a good source of selenium it protects our system from colon cancer. - Tofu has a high dose of calcium content which is helpful by women when they reach menopause. - Eating Tofu is effective in slowing down the aging process. - Tofu consumption helps retain the elasticity of the skin and tones the facial muscles which prevents aging. - Eating Tofu is effective during pre-menopausal stage when there is an imbalance in the oestrogen levels. 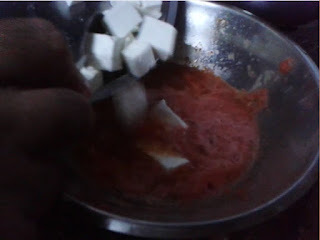 - Making a paste of tofu and applying it on your face is a good way to nourish the skin. So much for the nutritional benefits of tofu but how to incorporate tofu in our daily diets? 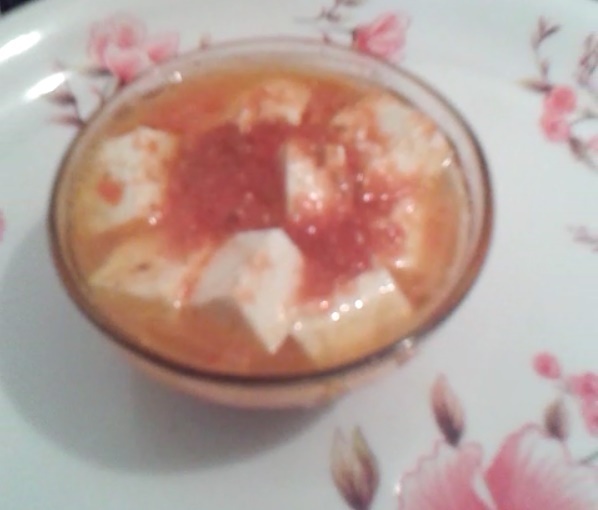 I can think a number of exotic and mouth watering dishes that I can make with tofu. However the fact that eating tofu can be used by women to supplement their daily dosage of calcium, iron and amino acids.So in this post I would I to make tofu a bit more acceptable in our households by replacing cottage cheese or paneer by tofu to prepare shahi tofu just as we make the dish of shahi paneer. There can be a number of variations in making the dish .I am going to follow here a very simple method that will help me make a dish of tofu with very little preparation or cooking time. 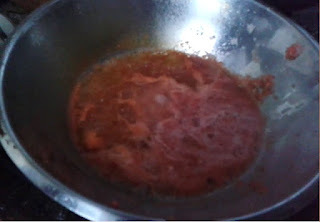 A big tomato, jeera or cumin seeds, 2 cloves of garlic (optional), 1 teaspoon of grated Ginger, 1 Onion cut into small pieces(optional) ,Salt to taste. 1 spoon of olive or any other cooking oil that you use. Add all the ingredients except the tofu in a blender add water and blend till a uniform puree is formed. Pour the puree in a cooking pan and add a table spoon of olive olive and let the gravy cook till it begins to simmer then add the diced tofu cubes into the hot gravy. Let the tofu cook in the simmering gravy for a few minutes . Serve hot and enjoy as such or with bread of your choice .